Meetings and events represent big business, and the latest research into the sector shows just how strong the impact of meetings spending is on the U.S. economy. The recently released Economic Significance of Meetings to the U.S. Economy report, which was prepared by Oxford Economics and the Events Industry Council, used a variety of economic data and information from about 9,000 domestic business travelers to figure out the size and scope of the impacts meetings had on the U.S. economy in 2016. 1.9 million meetings occurred in 2016, with 251 million meeting participants. Most meetings were hosted by a corporation or business (43.4%), followed by meetings hosted by association or membership organizations (34.3%) and those hosted by not-for-profit or other non-government organizations (32.3%). The meeting sector’s direct contribution to GDP is greater than that of auto manufacturing; the motion picture industry; oil and gas extraction, and furniture manufacturing. 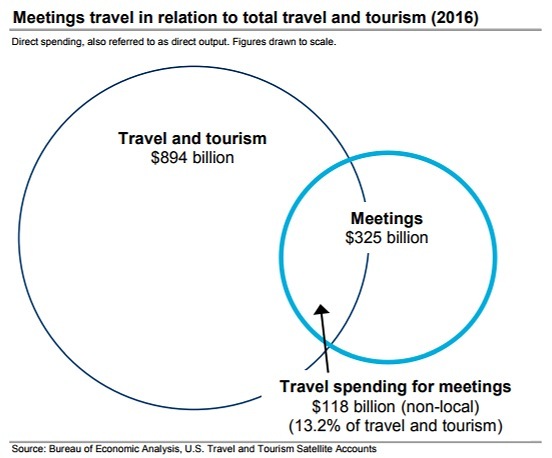 Meetings generated $325 billion of direct spending, including $167 billion to plan and produce meetings, $120 billion for meetings travel; and $38 billion of other direct spending. The industry generated 300 million room nights for the hotel industry and supported 2.5 million jobs. While the size of the meetings sector increased 22.7% between 2009 and 2016 based on the number of meeting participants, the number of meetings only increased 5.4%. 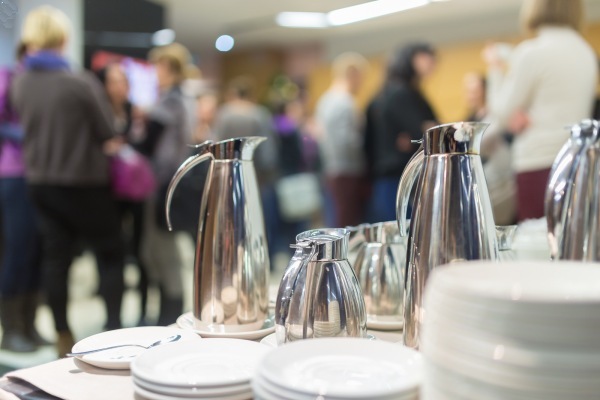 Meeting organizers and hosts spent $48 billion to provide food and beverage services at meetings, representing the largest segment (29%) of gross meeting production expenditures in 2016, followed by audio-visual/staging services at 14%.